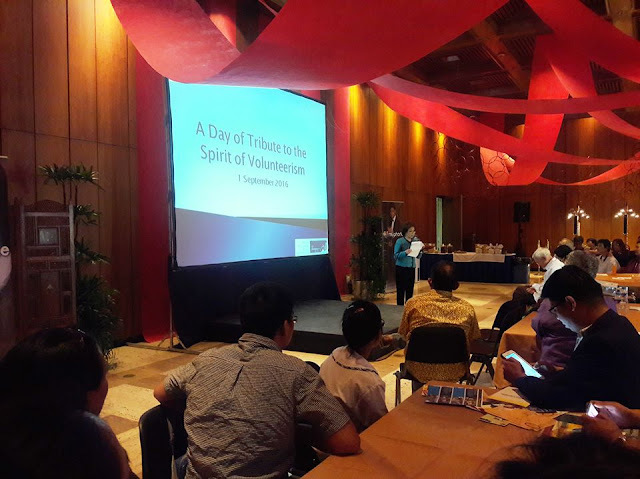 On 1September 2016, during the Annual Award of Ramon Magsaysay Awards Foundation, RMAF tapped the volunteer sector through the Philippine Coalition on Volunteerism or PhilCV. PhilCV was given an opportunity to share its programs/advocacies. Dr. Grace Aguiling-Dalisay (PhilCV Chair and Founding President of VOICE) discussed briefly the tracks being emphasized in the Roadmap on Volunteering for Development in the Philippines. Aside from the Asian-wide search/volunteer recognition, RMAF prepared Tribute to Volunteer Champions. Awardees were Amb. Howard Dee, Rosa Rosal and Fr. William "Bill" Kreutz; recognizing their priceless contribution in "volunteerism for nation building". Series of Talks on Volunteerism followed. Founding members of PhilCV also shared its programs and volunteering practices. 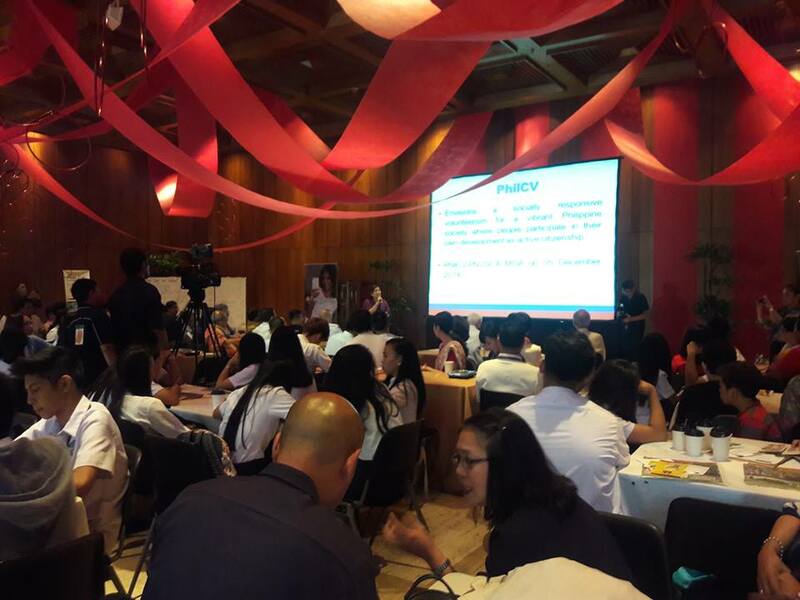 Max G. Ventura of Kaakbay Philam Volunteer Corps, provided highlights on why a corporation should invest on Corporate Social Responsibility (CSR). Benj Barretto of Jesuit Volunteer Philippines shared its milestone as volunteer-sending organization. Likewise, other members such as the Associate Missionaries of the Assumption (AMA), Kaisa para sa Kaunlaran and VOICE participated through the Volunteering for Development Exhibit together with the Assisi Development Foundation. 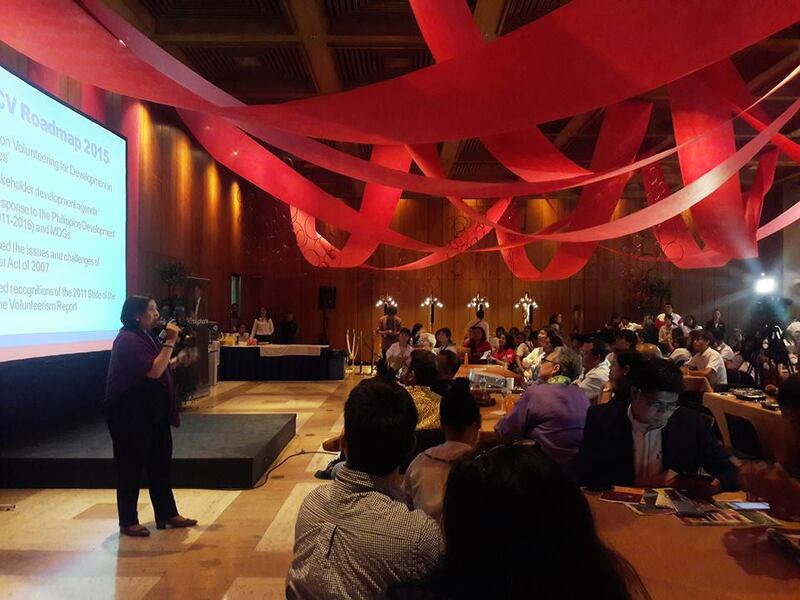 The event encouraged all sectors to intensify collaboration; to support and value volunteerism for development.